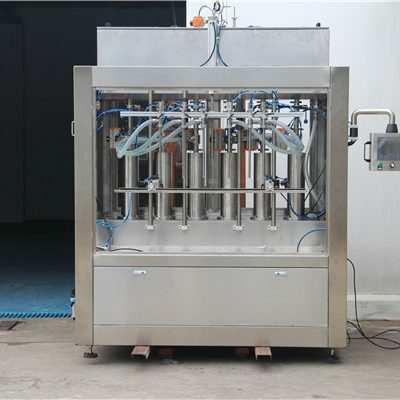 This gravity time filling machine specially designed for foamy product, such as: glass cleaner ,liquid soap and so on. (3) diving function for dripping can be special designed for foamy product. (4) All wetted parts are made of SS316. 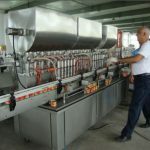 5: foaming , we have the device which not only diving to avoide the foaming but also have some other special ways to make sure to decrease the foaming. 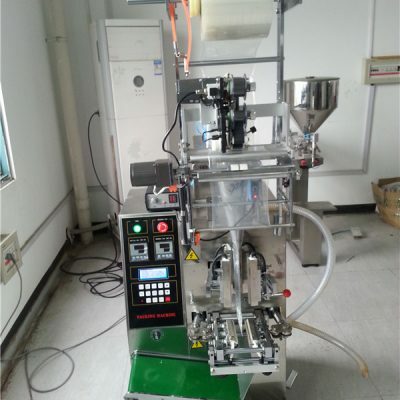 is a high-tech filling equipment integrating on the PLC microcomputer programmable control, and photo electricity transduction pneumatic action. 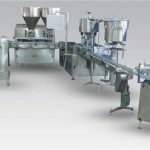 The machine is especially suitable for foodstuff. For example: white spirit, soy sauce, vinegar, seasoning, vegetable oil, syrup, mineral water, edible liquid as well as chemical liquid. It has accurate filling measurement; there is not bubble and drop. 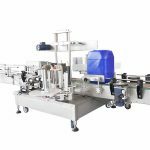 It suits for the filling of all kinds of bottle (including irregular bottle) ranging from 25 to 1000 ml. 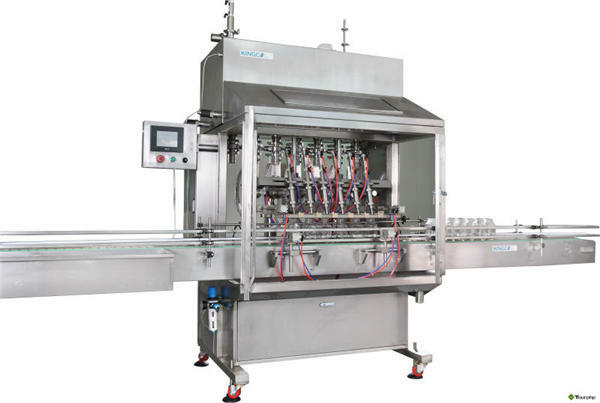 1.1 The machine suits for the filling of different sizes of vessel may change the filling sizes within a few minutes. 1.2 Short filling circle, high production capacity. 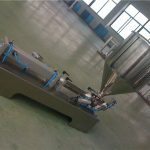 1.3 Changing filling circle, high production capacity. 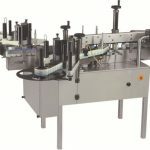 1.4 User may choose the filling volume and decide the filling heads per own production capacity. 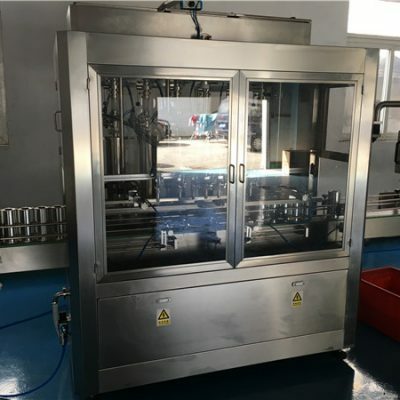 1.5 The touching operation color screen, can display the production state, operation procedures and filling ways, tableau objective, operation simple and maintenance convenient. 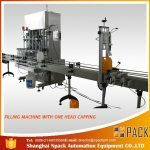 1.6 Each filling-head is equipped with a bottle-mouth-clamping device, ensuring the injecting material correct aiming at. 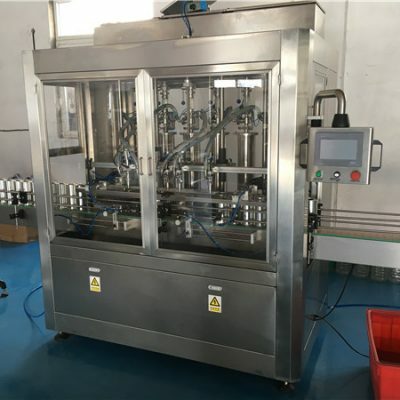 2.1 Selecting straight bottle-feeding and bottle-discharging in group, make the filling function extend, the vessels of all kinds of shape are got effective filling. 2.2 Using the world advanced gas filling valve, ensure the filling process non-drop and non-drool. 2.3 Stronger PLC software support, may realize the ideal filling operation. 2.4 Friendly person-machine interface, all operations are completed on the touching color screen. 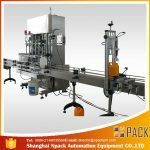 3.1 Using fixed sprue parameter to control the filling time realizing the filling of the different measurements. 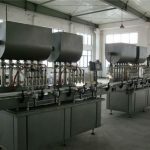 3.2 The precision time of the pneumatic valve filling may set to 0.01 second, can make the measurement precision control within ±1%, to decrease unnecessary material loss and enhance the economic efficiency. 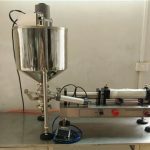 3.3 Each filling-head’s measurement may be individually adjusted to realize the same filling measurement. 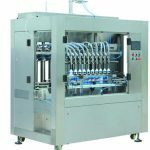 3.4 The machine set such function: having counting program of bottle-feeding, doesn’t fill as there is not bottle or the counting doesn’t attain a predetermined position, can start filling only when the counter records that the bottle number is same as the setting filling number. 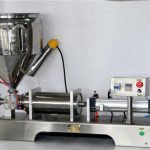 3.5 More or less of the filling volume, may initially adjust to the needed filling volume, then micro adjust, can get the ideal filling measurement precision.